Do you know Connecticut is known as “the Nutmeg State” and the residents are sometimes called Nutmeggers? While this is an unofficial name of the state and the residents, the state is named after the river, Connecticut River. Here in Connecticut, you can enjoy hiking, trekking or mountain biking as the region houses some majestic mountains. You can indulge in some lip smacking food and enjoy the hospitality of local residents. People here are warm, nice and generous. They like to help each other. Do you want to contribute your part in helping people? Want to make it easy for people to hear clearly? People belonging to any age group can experience deafness. However, 1 in every three people over the age of 65 suffers from some level of hearing loss. If you are interested in helping people, Hearing Aid Academy prepares you to clear the written and practical hearing aid specialist licensing exam conducted by the International Hearing Society (IHS). Do you know the first Permanent School for Deaf “American School for Deaf” was established in the state by Thomas Hopkins Gallaudet, Mason Fitch Cogswell, and Laurent Clerc? While Cogswell’s daughter was deaf, Clerc was deaf himself. The institution was set up with an aim to ensure that no individual with a disability is denied education. Hearing loss can result from complications at birth, generic causes, use of drugs, certain infectious disease, exposure to loud noise, and aging. However, people suffering from hearing loss can benefit greatly from early identification, use of hearing aids and other forms of social and educational support. Hearing Aid Academy was the first most competent and complete 100% online education program for hearing aid specialist. The HAA effectively prepare its students to become successful healthcare providers in the hearing aid industry. The Hearing Aid Academy allows you to connect directly with qualified instructor one on one, offering you a truly individualized education. The curriculum covers every aspect required for passing the state license exam but also provides you with targeted training on all aspects of a successful career in the hearing health industry. Every state has different requirements. Therefore, it is imperative to get familiar with what your state requires. If you want, we can help you with that. Online education is more effective than traditional schools because students don’t have the luxury to fall asleep, zone out or get distracted. This self-paced program gives you the advantage to complete it as fast or as slow as you want. The books you need to complete the hearing aid specialist licensing program here in Connecticut are set as module-based designs. Hearing Aid Academy online program consists of 31 modules and over 100 hours of video training. So before you move to the next module, you need to clear an exam testing your knowledge. One of the biggest advantages that come with online hearing aid specialist licensing program is that you can study anywhere. All you need is a working internet connection and a laptop to study in the comfort of your home or on the go. This eliminates the need to travel to a college which may be miles and miles away from your home or rent an accommodation which entrails extra cost and inconvenience. Hearing Aid specialist online course is more cost-effective than traditional course because it can be completed within 3 to 6 months. HAA online course also helps students to stay focused, clear their doubts with one on one session with experienced instructors and study at their own pace. HAA online hearing aid specialist licensing program include relevant subjects without introducing unnecessary elements. So you will be paying a fraction of the amount to what you would have paid in a traditional college. Moreover, as you have access to the online material, you can go back to a topic you do not feel confident in. Hearing Aid Academy’s online program consists of animated audio and video clips, video lectures, voice lectures, text assignments, and web sessions. This makes it easy to have a stronger grasp of the subject. Do you know humans are able to retain visual data longer than plain text? The Hearing Aid Academy module consists of 100 hours of online training spread over 31 modules. You need to clear the exam before moving on to the next module. This one-of-a-kind online hearing aid specialist licensing program engages all type of learners and is specially designed to help you clear your state exam. Hearing Aid Academy is your one-stop solution to prepare for hearing aid specialist licensing exam here in Connecticut. We at HAA provide students the advantage to study at their own pace and become a hearing aid specialist in less than 3 months. Qualified hearing aid specialists (HAS) are in need as there are 5 jobs for every HAS. You can choose to become a qualified and skilled hearing aid specialist by enrolling in the HAA online program. We have qualified and experience HAS on board that help students prepare for the exam. The HAA online program takes much less time and money than traditional colleges. Moreover, financial assistance is also provided to those who qualify. 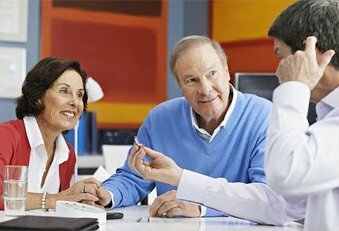 The hearing aid is a growing industry and if you want to help people hear better, become a hearing aid specialist in about 3 to 6 months. For Queries, email us at admissions@hearingaidacademy.com. Or Call an admission representative at (903) 487-0097.